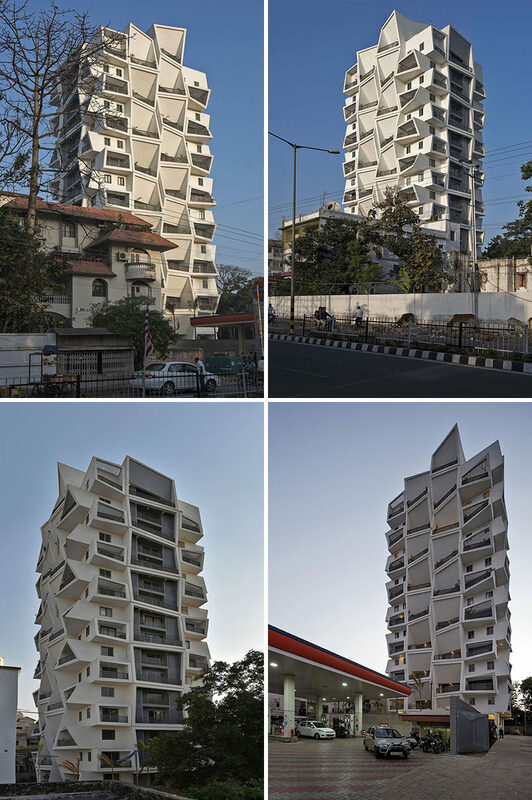 Sanjay Puri Architects have designed a 15 storey residential building in Ranchi, India, that features uniquely shaped private outdoor spaces for each apartment. 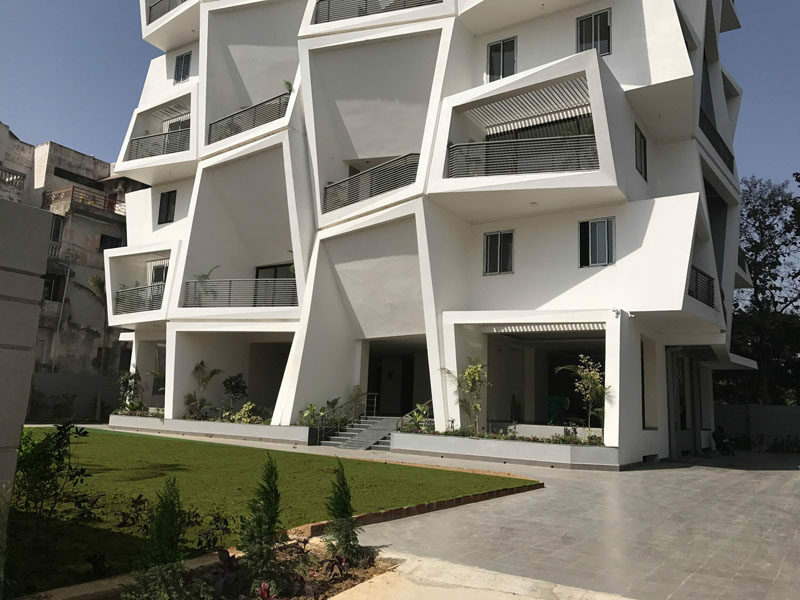 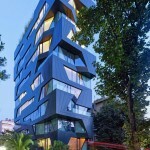 As a result, the architects designed the building so that each apartment, which occupy an entire floor, have access to multiple balconies with double height ceiling spaces. 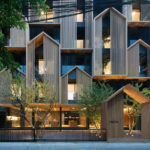 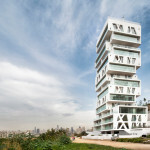 The large balconies provide shelter for the interiors from excessive heat experienced in the summer months where the temperatures reach an average of 87 °F (31°C). 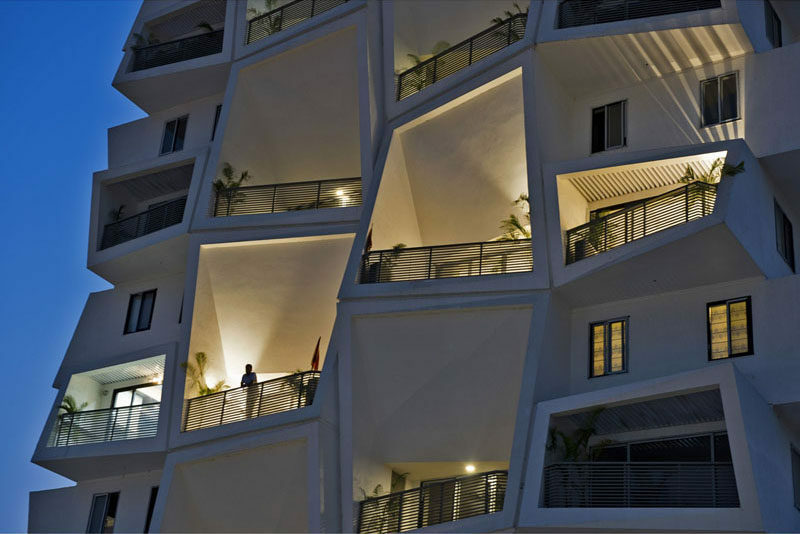 Here’s a closer look at the balconies and how they’re angled depending on the floor plan of the apartment. 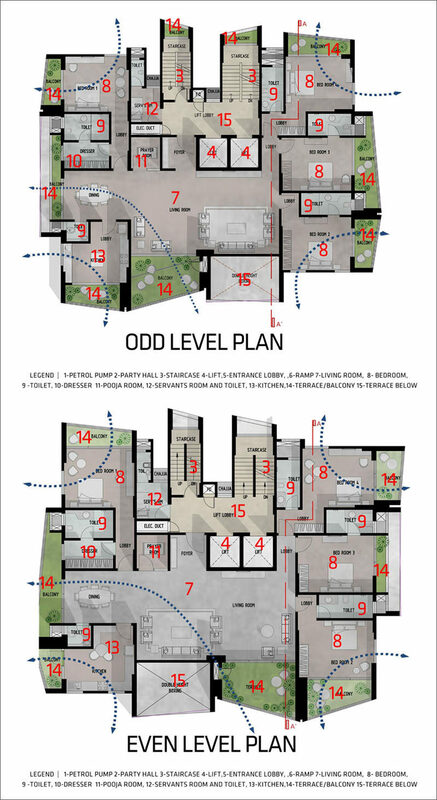 To understand the layout of each of the two distinct apartment designs, here are the floor plans.